NPR -- You might think the world's biggest bee would be easy to find. But that's not the case: Until recently, the last time anyone had reported seeing a Wallace's giant bee living in the wild was in 1981. That changed in January, when the rare bee was spotted on an island of Indonesia. The Wallace's giant bee — Megachile pluto — towers over European honeybees. The female's size has been recorded as at least an inch and a half long, with a tongue that's nearly an inch long. Add to that a pair of gigantic mandibles, and it's a bee like no other. 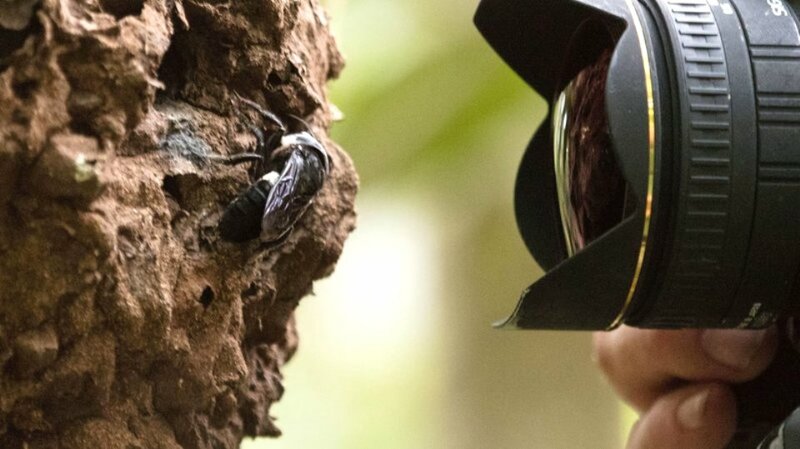 "It was absolutely breathtaking to see this 'flying bulldog' of an insect that we weren't sure existed anymore — to have real proof right there in front of us in the wild," said natural history photographer Clay Bolt, who was part of a small team that sought out the Wallace's giant bee. The team found a female bee living in a termite nest on the side of a tree — the large bee's preferred habitat. Female Wallace's giant bees use resin and wood to create tunnels and cells in existing nests, carving out their own living space away from the termites. "To actually see how beautiful and big the species is in life, to hear the sound of its giant wings thrumming as it flew past my head, was just incredible," Bolt said. About that sound: Touting its discovery, the team posted b-roll (!) video of the Wallace's giant bee flying around in a small enclosure, its wings sounding like a deep drone compared with the high-pitched buzz of honeybees. It's not unusual for the Wallace's giant bee to go long periods without being seen by humans. It has been observed only a handful of times since it was discovered in the 1850s by British naturalist Alfred Russel Wallace. When the bee was last rediscovered, in 1981, it had been presumed extinct. 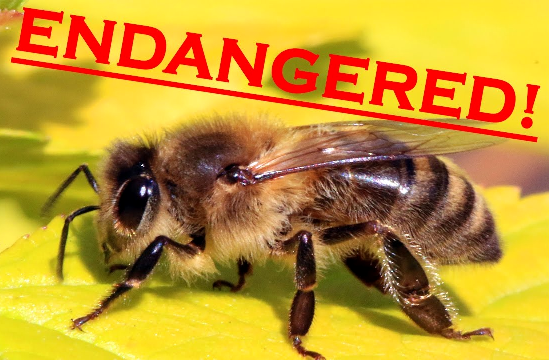 "I've been saying it's thought to be extinct," said professor Dave Goulson, who heads a bee lab at the University of Sussex. "I was happy to hear that's not the case." The breakthrough find came on the final day of a five-day trip to Indonesia's North Moluccas islands. Bolt's visit to Indonesia came as part of Global Wildlife Conservation's Search for Lost Species program. Others on the trip included Princeton University entomologist Eli Wyman; Simon Robson, a biology professor at the University of Sydney in Australia; and Glen Chilton, a professor at Saint Mary's University in Canada. The Brobdingnagian bee isn't remarkable only for its size; it also sports unusually large mandibles, which are often compared to a stag beetle's. The Wallace's giant bee's mouthparts also include a large labrum; in the early 1980s, entomologist Adam Catton Messer described watching a female Wallace's giant bee using its mandibles to scrape resin from a tree and using its labrum and mandibles to roll the resin into a large ball — which it then carried as it flew back to its nest. 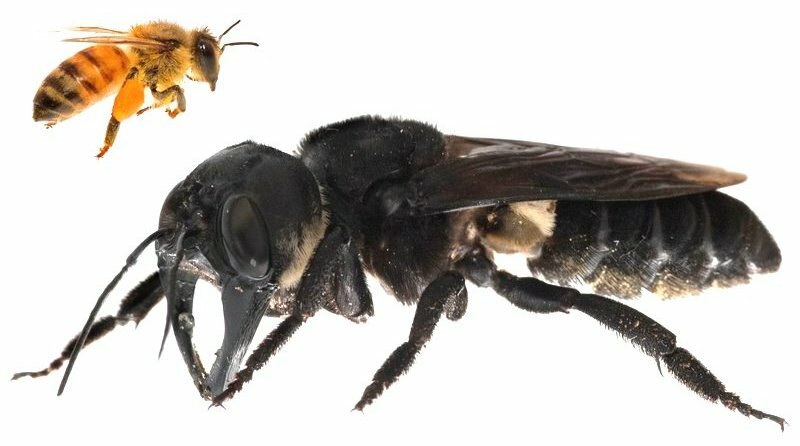 "Messer's rediscovery gave us some insight, but we still know next to nothing about this extraordinary insect," Wyman said, echoing the reaction of other experts after the bee was spotted anew. In theory, Goulson said, the large mandibles are similar to mason bees, which use them to help form the balls of mud that shape their nests. But those apian relatives are nowhere near as imposing as the Wallace's giant bee, he added. Entomologist Jason Gibbs, who studies bees at the University of Manitoba, says the Megachilidae family of bees use a variety of materials to build nests, from leaves and flower petals to resins and mud. "There is an introduced species in eastern North America, Megachile sculpturalis, which is closely related and quite a large and dramatic bee to see," Gibbs said. "Megachile pluto is like that species dialed up to eleven." 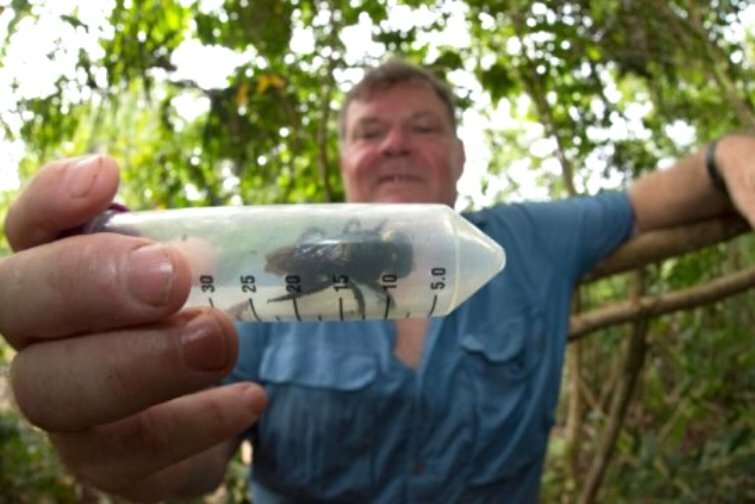 In the early 1980s, Messer found several Wallace's giant bees living in mountainous terrain of three islands in the North Moluccas, near the equator. 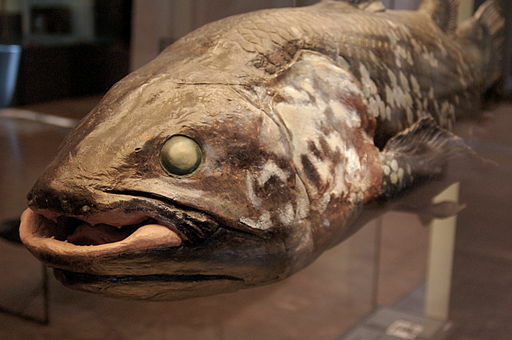 Perhaps the best known of all the formerly-extinct creatures, the objectively terrifying coelacanth – pronounced SEEL-uh-kanth — was presumed to go extinct 65 million years ago — that is, until a South African museum curator discovered a specimen on a fishing trawler in 1938. Two known species of the fish exist: one that lives off the coast of the eastern coast of Africa, and one that lives off the coast of Indonesia. Coelacanths can live up to 2,300 feet below the water’s surface — and they’re pretty huge. These fish can grow up to six and a half feet and weigh almost 200 pounds. Some scientists even think coelacanths represent an evolutionary step between sea and land animals. 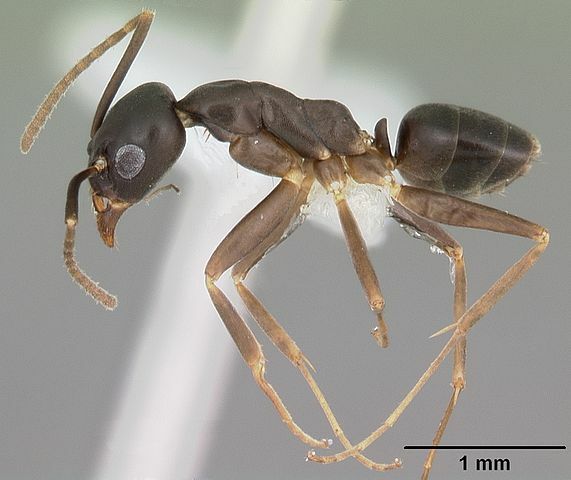 This nocturnal genus of ant was thought to have died out between 15 and 20 million years ago, and they were only discovered alive in 2006. A species of Gracilidris has been found in Paraguay, Argentina and Brazil, where it lives in small underground colonies. 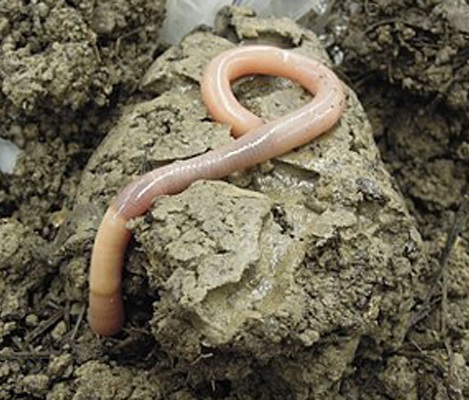 This albino macroinvertebrate can be found in eastern Washington state and part of Idaho, which is why it’s also called the Washington giant earthworm. Many thought it went extinct in the 1980s, but recently that’s been proven false. Two specimens were recovered in 2010; prior to that, the most recent sighting was in 2005. Some reports claim that this worm can reach up to three feet in length, but the most commonly reported length is probably about a foot. Even so, that’s a long earthworm! One of the best common names in the animal kingdom, this rare reptile was thought to be extinct until 2003. And no wonder; it’s only found in the Isle of Pines. Before being photographed, filmed and released by specialists at the French National Museum of Natural History, the terror skink was only known by one specimen. The name of this tiny shrew may be weirdly anthropomorphic, but for the past century or so it hasn’t been too keen on making itself known. This little mammal was discovered in 1894 — and wasn’t seen again for 109 years. That is, until two scientists decided to look for the shrews. These four-inch-long creatures were rediscovered on the slopes of the San MartÃ­n Tuxtla volcano in Mexico. 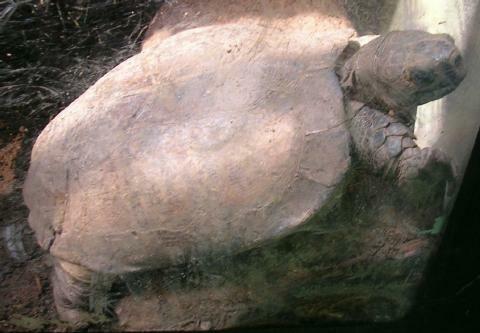 Prior to its rediscovery in 1994, the Arakan forest turtle had last been seen in 1908. In a way, it’s not surprising the creature stayed hidden for so long. These turtles like to hide in forest floor debris in western Myanmar. But a couple of specimens eventually turned up in Asian food markets. Despite being critically endangered, the Arakan forest turtle is still traded by pet dealers. The story of how this comparatively small elephant avoided extinction is pretty cool. Scientists thought the Javan elephant disappeared not long after Europeans came to southeast Asia. However, it looks like a ceremonial elephant trade centuries ago saved the Javan elephant from the fate of the dodo. 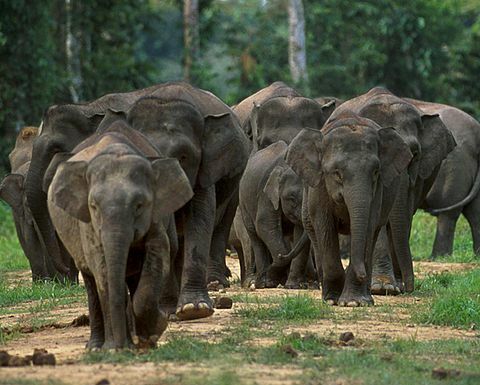 Locals believed that the Sultan of Sulu — now part of the Philippines — transplanted elephants from Java to Borneo. In 2003, a study concluded that the Borneo pygmy elephant is genetically distinct from other Asian elephants and likely originated on Java. This seems to be one instance when wildlife trade may have actually saved a species from extinction. 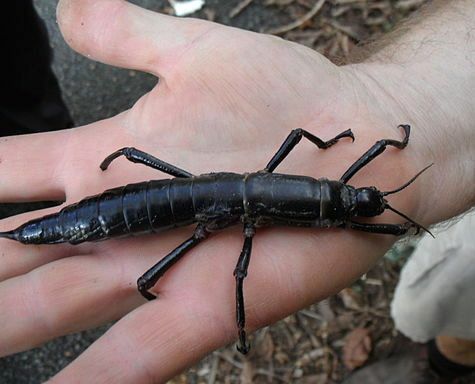 This giant, terrifying insect is also called the tree lobster, meaning it wins for best common name in the animal kingdom — sorry, terror skink. And do they ever have a harrowing story of survival. Tree lobsters used to be wildly common on Lord Howe Island off the coast of New South Wales. 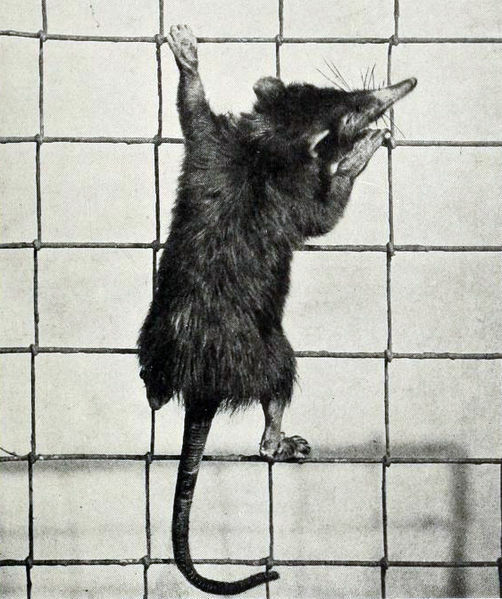 But this all changed in the 1880s and the first two decades of the 1900s when mice and rats, respectively, were introduced to the island. By 1920 you couldn’t find a tree lobster if you tried, and by 1960 they were considered extinct. However, you can’t keep a good insect down. There were rumors of a tree lobster population on the nearby island of Ball’s Pyramid. In 2001, a team of intrepid scientists decided to brave the cliffs to try to prove that the insect was, indeed, extinct. Instead, they found a population of 24 tree lobsters. It’s thought that they floated to the island as discarded bait, or were carried over by birds. No matter how they got there, these stick insects survived, and there are efforts underway to reintroduce them to their natural habitat. The takahe is one of those flightless birds native to New Zealand. They were considered extinct in 1898 after four specimens were killed and mounted for museums. But never fear! 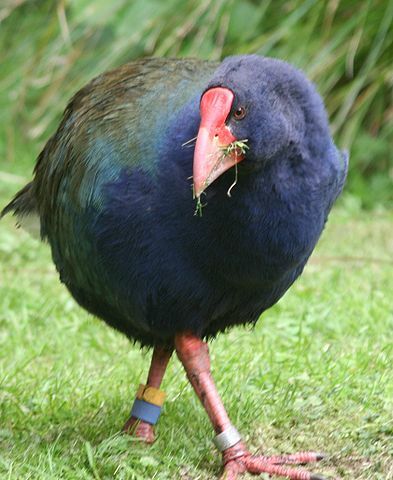 In 1948 the takahe was rediscovered near Lake Te Anau. Even though the birds were once abundant, there are now only a few hundred in population. This solenodon is kind of an ugly creature. But don’t say that to its face; its saliva is venomous. I guess it might be just as well that we’ve only managed to catch 37 specimens since the animal’s discovery in 1861. As you may guess from its name, this nocturnal burrowing animal is native to Cuba. By 1970, scientists thought this species was extinct since no individuals had been spotted in 80 years. That assumption was premature, however, because three specimens were captured between 1973 and 1974. The most recent find was in 2003 when a Cuban solenodon named Alejandrito was captured, studied and released back into the wild.